The commercial brands often that promise long lasting colours, often permanently damage the hair with their harsh chemicals. Thankfully, Tints of nature, with its components derived from organic sources, give good hair, natural colour and beautiful streaks without harming the hair or damaging the scalp. If so, then you need to fret any more. 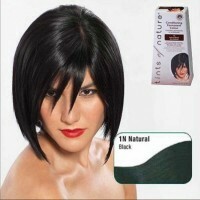 With Tints of nature, you can treat everything and also regain your beautiful shiny mane. They offer variety of products ranging from scalp treatment, structure treatment, and hydrate shampoo to its range of permanent and semi permanent hair colour and natural streaks. Have you been dealing with an irritated scalp since a long time? If yes, suffer no more. With Tints of nature’s natural scalp treatment, set to soothe the irritation, your scalp will get a calming effect after using it. After shampooing, apply it on the scalp. Then apply the conditioner. Let it be for 5 minutes then rinse off. After colouring your hair, use this to prevent the occurrence of any irritation. If you want to derive the maximum benefit from this product then use this in combination with Tints of Nature’s Conditioner. The dilemma one goes through before applying that first streak of colour on the hair is all too common. The proliferation of hair colour available in the market these days makes the choice difficult to settle on one. Moreover, the apprehension as to the harmful effects on the hair that will follow after colouring is all the more reason to debilitate. Thankfully, Tints of nature, markedly different from any other brand due to its organic compounds, will give your hair the beautiful colour without damaging it. The highlighting kit consists of ingredients that are entirely natural and free from any ammonia content. It has the lightening powder, cream activator and the protective oil which thoroughly nourishes the hair. The Home colouring kit is another good product that enables anyone to dye their hair at home in an easy manner without visiting the parlour or exposing their hair to harsh chemicals. Previous Previous post: How about using organic liquid soap to make your skin beautiful?